I think the little thing coming off the crown to the left is a rhizome. Field Notes: Coll. No. 1728, 28 Jul 2017. 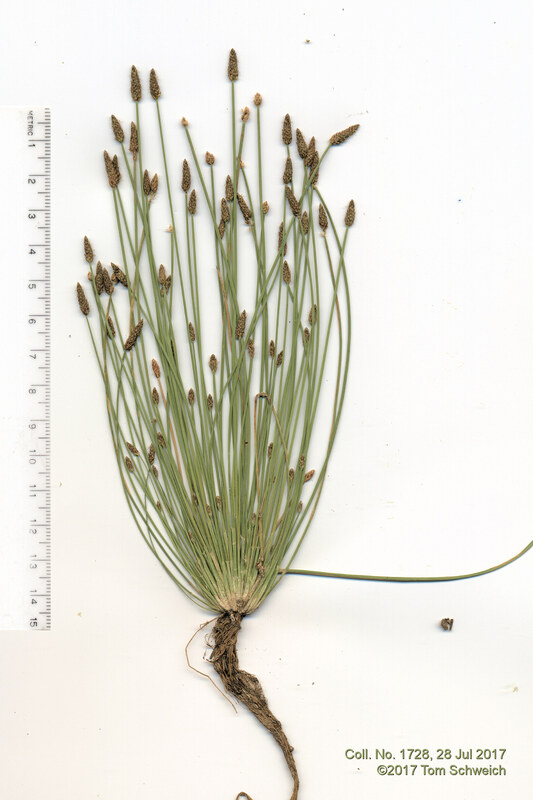 Other photos about Species or Cyperaceae Eleocharis palustris.